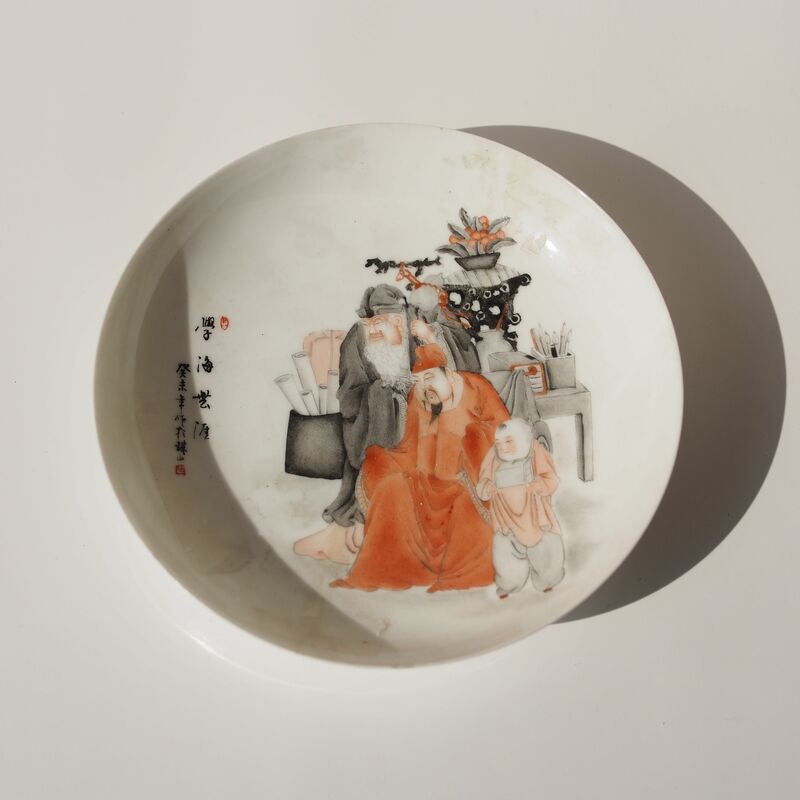 On the plate is painted 3 generation of scholars, the well learnt elderly man, the established and the scholar to be. Behind them are a selection of scholarly objects and collectibles; scrolls of painting and calligraphy, stationary, books and root sculptures. On the side of the plate is the phrase “knowledge with no cliff”, meaning knowledge is so board that it is like an ocean without an edge. This phrase is well learnt by most young students, as an encouragement for acquiring knowledge. The phrase came from the late Ming well known writer Zhang Di who was born in a wealthy intellectual family. Well learnt, he indulges in decadent love of beauty; pretty maid, handsome serving boys, fashion, gourmet, elegant horse, glamour, crowds, painting, antiques, etc, etc. The life style and the political situation made him a poor man at later years, he found himself failure in all counts. This however, made his writing all the more powerful.